As pro-Burhan Wani posters appeared at many places in south Kashmir districts of Pulwama, Kulgam, Shopian and Anantnag, authorities clamped an indefinite curfew in Tral. Curfew was imposed on Friday in slain Hizbul Mujahideen commander Burhan Wani’s hometown Tral in Jammu and Kashmir’s Pulwama district ahead of his first death anniversary. All roads leading to the town have been sealed and contingents of police and Central Reserve Police Force were deployed in sufficient strength to enforce the restrictions. The Jammu-Srinagar national highway that is used by Amarnath Yatra pilgrims is manned by multi-layered security provided by the army, the CRPF, the Indo-Tibetan Border Police, the Sashastra Seema Bal and state police. 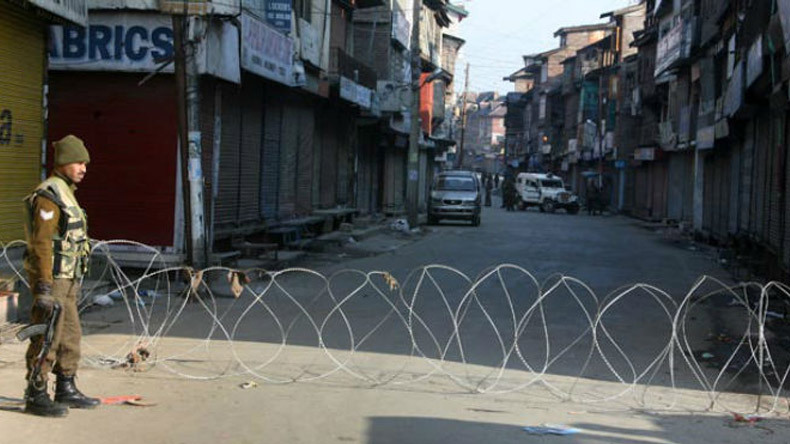 Prohibitory orders under sector 144 of the Criminal Procedure Code have been imposed in old city areas of Srinagar, Baramulla, Sopore, Pulwama, Anantnag and some other sensitive places. The congregational Friday prayers were disallowed inside the Jamia Masjid in Nowhatta area of Srinagar as authorities had imposed restrictions in the area.